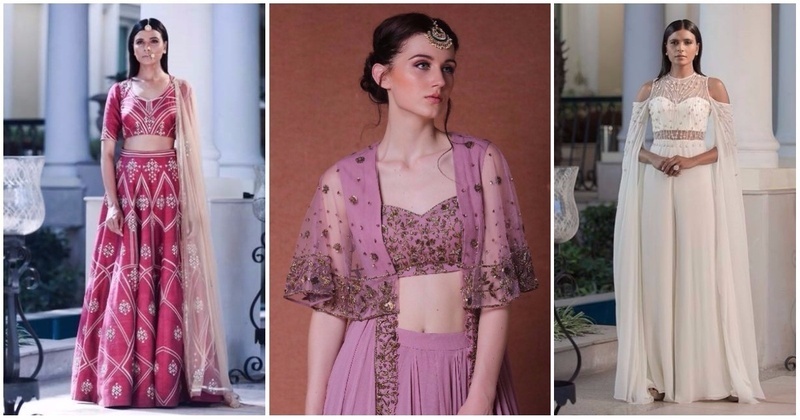 5 Awesome Lehenga Designers To Check Out For Your Bridesmaids Outfit! Looking for that perfect lehenga to wear to your bestie’s Indian wedding? Check out these amazing lehenga designers to find your ideal bridesmaids outfit! Bespoke designer fashion label that breaks through the norms of style by creative amalgamation of rich Indian craftsmanship with international silhouettes. Sana Barreja uses unique silhouettes paired with a pleasing colour palette and interesting embellishment to make sure your outfit is one-of-a-kind. They amalgamate contemporary silhouettes with traditional authentic indian handwork. They don’t just make a garment but carve a niche for our clients. Experts in creating a fresh, youthful, alluring piece of your true essential nature. Pooja Peshoria is a brand of high end occasion wear. They offer handcrafted lehengas, saris, gowns and much more all made with the highest quality material. The label imbibes ethnic aesthetics with modern influences with a rich use of delicate embroideries and intricate handwork. All images belong to their respective vendors.